The Blogging world has introduced me to so many new and interesting recipes. One such recipe is Paal Payasam. I am not aware of this recipe until I tasted it in my neighboring aunty's house. We make only Paruppu Payasam and Semiya Payasam. The funny thing is until now I call the Semiya Payasam as Paal Payasam without knowing what exactly Paal payasam is. We really loved having this payasam. Just for garnishing purpose I added Saffron, it changed the pure white color of the payasam. If you don't prefer adding saffron, skip it. 1. In a pan add a tsp of ghee and roast the basmathi rice until nice aroma comes. Then grind it coarsely. 2. In the same pan, again add a tsp of ghee and fry the cashews, raisins until it turns golden brown. Keep it aside. In a pressure cooker add 1 Cup of milk and bring to boil. Then add the ground basmathi rice. 3. Close the lid and pressure cook for 2 whistles in medium flame. Then simmer the flame and cook for another 5 to 7 mins. Switch off the flame. Once the pressure releases, switch on the flame again after adding the remaining milk and sugar. 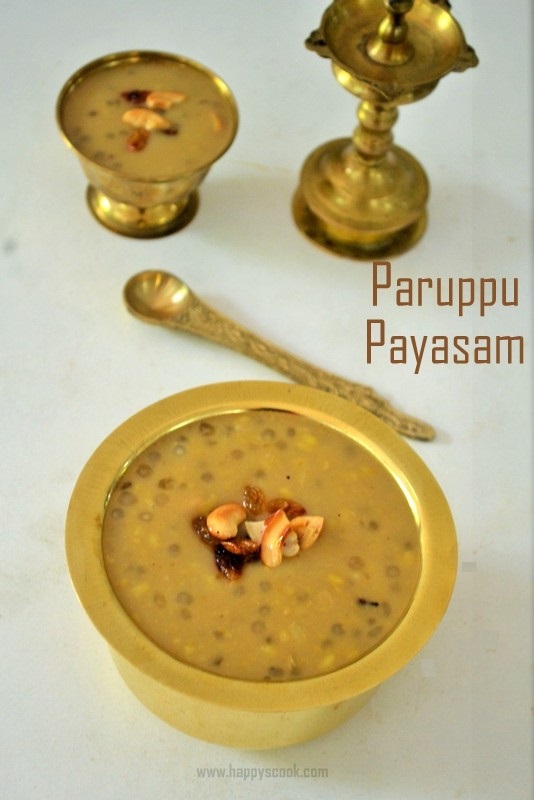 Simmer it and cook for another 15 - 20 mins until the Payasam becomes thick and creamy. Add the rose essence , fried cashews and raisins. Mix it well and switch off the flame. Serve the yummy milk Kheer when it is hot or chilled. I prefer it to be chilled. Instead of rose essence you can add the cardamom powder as well. I have used aavin green color, you can use any full fat milk to get the creamy Payasam. Instead of grinding the rice, you can pressure cook it and then mash it with the ladle. But I prefer grounding it coarsely. The Payasam looks pure white in color. Garnishing with saffron makes the Payasam pale yellow. You can use raw rice instead of basmathi rice. My all time favorite rice kheer, looks very delectable. Very rich looking and delicious rice kheer..
love payasams any time n dis is so delicious..
Paal payasam looks absolutely delicious and creamy...loved it! !